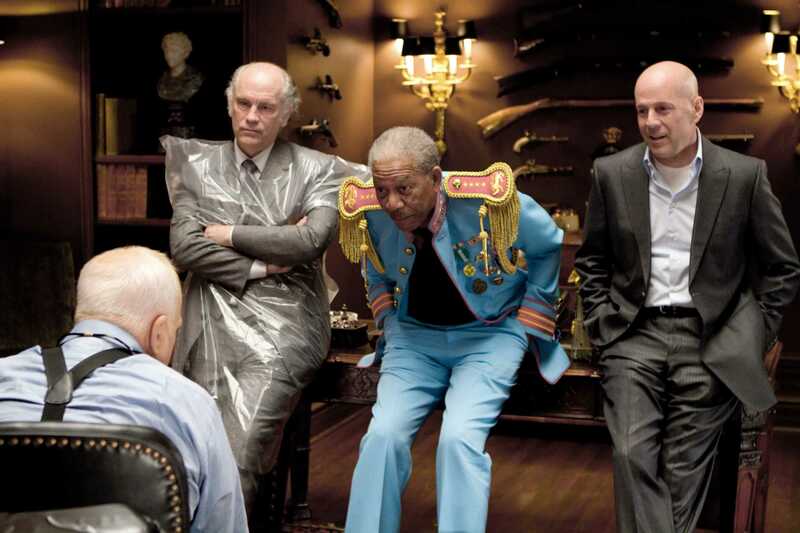 Richard Dreyfuss, John Malkovich, Morgan Freeman and Bruce Willis star in RED. 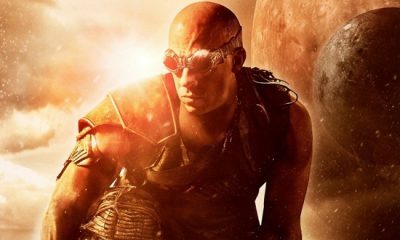 Smirks meet semi-automatics in “Red,” a comics-derived action flick that offers self-conscious casting and a wink here and there without feeling as jokey as, say, “Knight and Day.” Although tailor-made for genre fans, it benefits from flavors of humor and romance that keep its appeal from being fanboy-only. 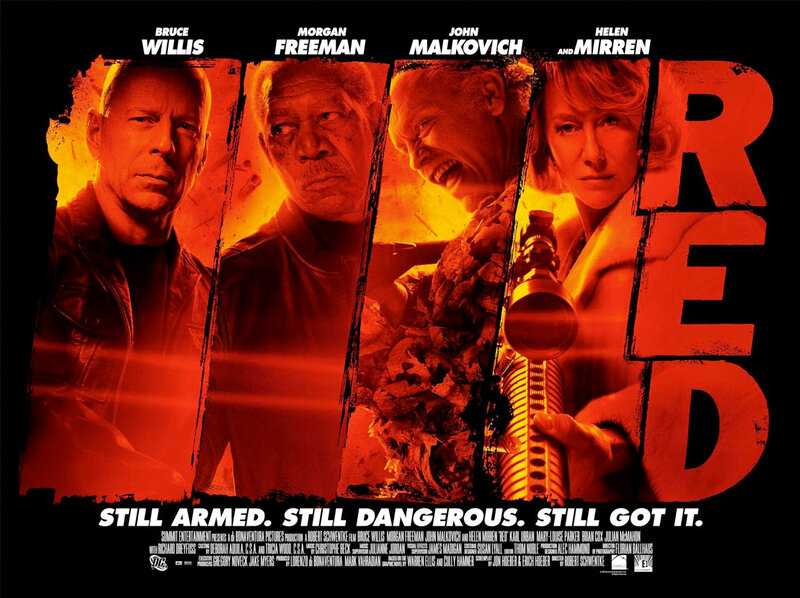 Bruce Willis, John Malkovich and Helen Mirren star in Red. Chief among the pleasures of Red, a sleek, giant-scale action picture populated by formidable actors, is the sight of Helen Mirren, elegantly dressed in a form-fitting white dress, firing away on a gigantic machine gun that makes a noise as loud as thunder, her expression a combination of concentration and conviction. Woe to him who foolishly stands within her crosshairs. Her target in that scene? The Vice President of the United States. 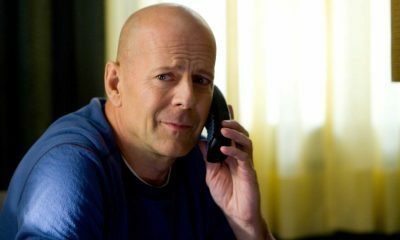 Bruce Willis plays Frank, ex-CIA now living in Cleveland, where he whittles away the days in a snowbound modest suburban home. 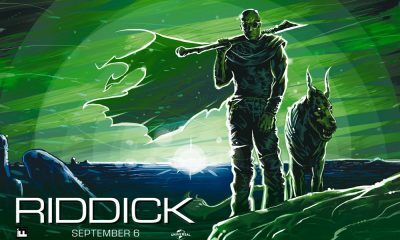 Willis doesn’t have the deep-felt sadness of the comic’s grizzled, deeply wrinkled eccentric who just wishes to be left alone; his Frank is more John McClane in early retirement, a dude secretly itching to get back in the killin’ bidness. When the bloodthirsty, barrels-blazing Men in Black come calling at 3:30 in the morning, Frank’s wide awake and ready for them—the alarm clock’s gone off, time to get back to work. Once seen, never forgotten, the experience of looking on as Helen Mirren lets loose with a machine gun is the equivalent of watching the queen of England lay waste to a crowd of unruly commoners. It’s also the only aspect of “Red” that satisfies as it should.